Shortly after 11 a.m., the girl fell from a cliff near the Ragged Point Inn. Coast Guard officials received word of the incident about 15 minutes later. 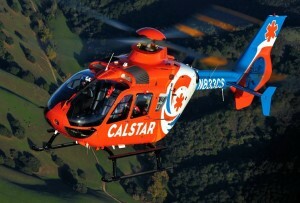 After rescuing the girl, the helicopter crew transported the girl to the Santa Clara Valley Medical Center in San Jose. The girl was in stable condition Monday afternoon. It is unclear what caused her to fall. From what I heard on the radio and med channel, the girl fell approximately 40′. It may have been a 300′ cliff, but she did not fall 300′. She had a minor laceration on the head with a altered mental status. Alert and talking upon arrival of medics. She was hoisted up by the coast guard and transferred to cal star. She was then transported to Sierra Vista for “jurisdictional issues” for San Luis S.O. The mother was on scene but gave conflicting stories and names to Sheriffs Dept. The whole call seemed very suspicious, and I’m pretty sure the Sheriffs Dept. Caught that. The dog was taken to animal control. That’s what Information I got from the call as it was happening. Couldn’t find a Coast Guard helicopter photo somewhere? Secure fencing is needed on that property and has been for years…not just rope and stumps. Well that or Parental Supervision. You get no minute breaks as the parent of a young child. Period. It is a miracle she survived. I hope she has a full recovery.